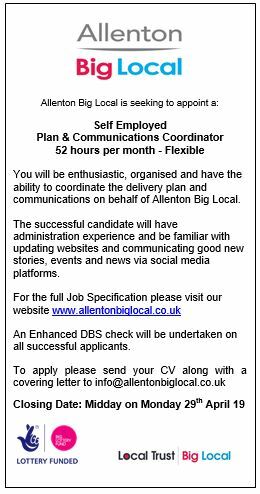 Allenton Big Local | "a stronger community"
Allenton Big Local is looking to recruit a new member to the team. This role is a self employed Plan & Communications Coordinator to ensure the smooth and effective running of the Partnership Board and its plan for the future. Applications must be submitted before midday on Monday 29th April 2019 and interviews for shortlisted applicants will take place week commencing Tuesday 7th May 2019. Following several years of planning and consultation, followed by eighteen months of building work – on Friday 1st February 2019 we were incredibly happy to support the relaunch of St Martins Church and Community Centre on Flint Street. Please watch our video which highlights the days activities. This is a really good review. It is thorough and uses a number of different methods to evaluate the projects and activities you are funding. 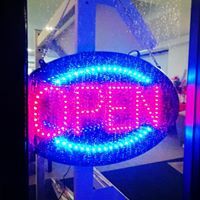 You have collected and included different types of information to help you demonstrate the difference you are making, such as open data from Local Insight and survey responses from people in your community. 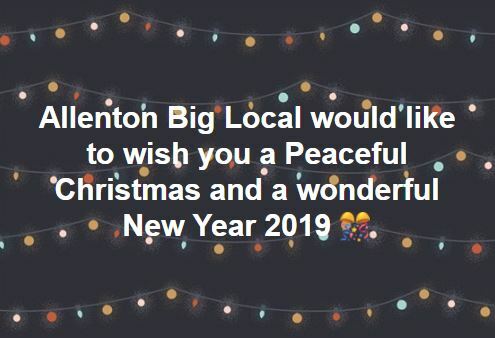 You clearly demonstrate that you are doing lots of great things in Allenton Big Local and continually ensuring that what you’re doing is what the community wants. We have also now had the assessment for the new plan due to start in April and we await news from Local Trust as to whether we have the green light. 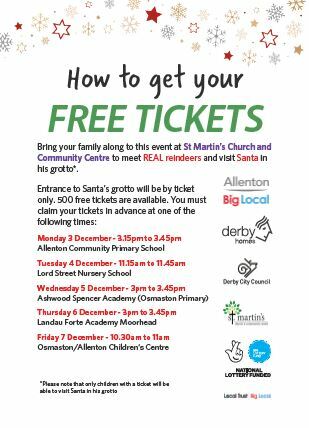 Allenton Big Launch welcomed over 800 people through the doors of St Martins Church and Community Centre on Flint Street across 18 hours of activities on 1st February. The rationale for the event being one hour for every month of the build stage of the project, showcasing activities and groups rather than signposting or telling about. Media representatives from Local Trust spent the day with us as well as Derby Telegraph (portfolio reach of 38.6m per month) and East Midlands Today (255,000 average nightly viewers) and the whole day received very positive coverage and feedback from all including a large report on East Midlands Today that evening and front page spread on Saturday 2nd February. Representatives from the Methodist Church (local as well as regional), Derby Homes, Derby City Council, Derbyshire Police, Derby Adult Learning Services, Derbyshire Community Finance and Derby College (among others) joined with Allenton Big Local partnership members, contractors, volunteers, parishioners and residents to ensure the day was the success everyone hoped it to be. It was a spectacular day! Please join us on Friday 1st February as we celebrate the launch of the ABL supported St Martins Church and Community Centre on Flint St in Allenton. After eighteen months of partnership and hard work the project is now complete and we couldn’t be more happy than to invite you to share the launch with us over a complementary brunch. 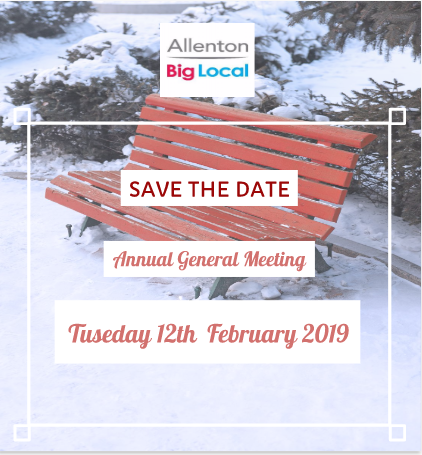 In a month’s time Allenton Big Local will hold it’s AGM. All relevant documents and notices will be published on this website as well as circulated across thye community through social media platforms and notice boards. In the interests of transparency here’s how we do things at ABL, not just at the AGM but all year round. Any Big Local sub-groups agreed by the Partnership Group, such as the Events sub group, Community Chest sub group and Bursary Scheme sub group. Review and determine the membership of the ABL Group. Make recommendations of future priorities to include in the plan. Allenton Big Local area falls within two council boundaries, Boulton Ward and Alvaston Ward. The Partnership Group will ensure regular updates are communicated via these forums to ensure as wide a group as possible are kept informed of progress towards agreed priorities. Agrees the framework and structure for the partnership. Provides strategic direction by agreeing the vision and ambition. Agrees the content of the partnership plan. Influences local policy through strong and clear advocacy and through championing Allenton Big Local. Acts to remove barriers to collaboration. Tasks any sub-groups or working-groups with securing specific outcomes. Monitors overall progress towards outcomes of the Big Local vision and plan. Ensures appropriate structures for meaningful engagement with local communities. Makes arrangements for the allocation of funds or grants received by the partnership for the express purpose of partnership activity, in order to advance the delivery of the Allenton Big Local vision and plan. Approves arrangements for the management and administration of the partnership. Reviews the partnership structure and its effectiveness. Membership of the Group will be restricted to those who live, work or operate a business in the ABL area and those who represent those who live and/or work in the area. Only resident members of the ABL Group will have full voting rights. Non-residents can be appointed by the partnership as non-voting advisory members. There will be a minimum of 8 partnership members and 51% will be residents. It must be ensured that residents are in the majority of voting members and the Partnership group will not exceed 20 members. The resident membership will be reviewed and voted on at the Annual General Meeting of the Forum, with elections requiring a two thirds majority of residents in attendance by show of hands. The maximum term of office for residents on the partnership shall be 3 years. A rota shall be drawn up so that each year a minimum of 3 resident members stand down. Any resident member standing down or completing their term of office may put themselves forward for re-election. Other residents may put themselves forward to be elected onto the partnership by written nomination 7 days in advance. Those who wish to join the partnership during the year or in between AGMs will be asked to meet with two resident members who will determine the applicant’s eligibility and provide further information about membership. The resident members of the partnership will vote, requiring a two thirds majority. Providing information and advice about day-to-day quality of life in the area. 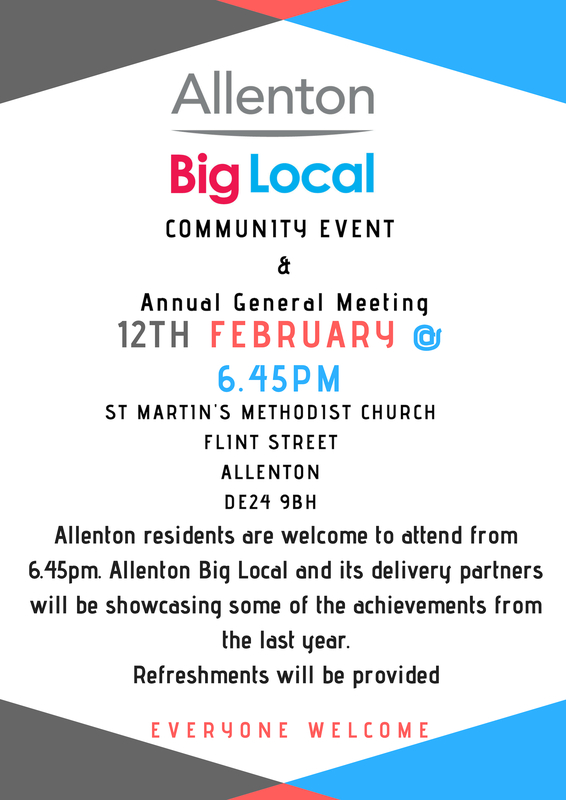 Actively encouraging people in the area to play their part in supporting Allenton Big Local and its activities. Ensuring local concerns are addressed and that planned activity has local support. Ensuring effective communication between the partnership and members of their own community. Contributing to collective decision making based on clear evidence. Acting in accordance with the general principles of conduct, attached as an Appendix. Providing relevant advice, knowledge and expertise (where appropriate) to the partnership. Providing additional impact and contribution to the partnership from their parent organisation or other bodies. Acting as advocate for the partnership within their organisation and seeking to change practice and policy to the benefit of the partnership. The ABL partnership group will appoint a resident Chair and two resident Vice Chairs on an annual basis at its first meeting after the AGM. The Chair and one of the vice-chairs must be independent of any attachment to the Local Trusted Organisation. In the case of there being only one vice-chair, this person must be independent of the Local Trusted Organisation. Nominations may be made by any partnership member, with the consent of the nominee, prior or at the meeting where the appointments will be made. Where more than one nomination is received, eligible members will vote by written ballot and the co-ordinator will count the votes and announce the result. Chair meetings in sympathy with the values and code of conduct stated within this document. Chair meetings in order to progress the formation, delivery and review of partnership plans and agreed business. Ensure that all members are encouraged and enabled to make contributions. Have a casting vote in meetings in the event of a vote being tied. The Partnership Group will be quorate when a majority of the members are present and the majority of these are residents. Meetings can take place even if not quorate but votes cannot take place. It has been agreed by a majority of those present. Any decision relating to financial commitments to individual partners is only taken with their consent. The proposed actions fall within the statutory and regulatory framework governing the operations of the partner organisations. The ABL group will meet no less than six times a year, with additional meetings convened with the agreement of the Chair. Notice of these meetings and the minutes will be posted on the website. Sub-groups will aim to be responsive and will meet as and when required. Agrees the long term strategic direction for Big Local in Allenton. Articulates and promotes the needs and aspirations of the local community through a shared vision. Prepares, implements and monitors the Allenton Big Local Plan. People will have increased skills and confidence so they can continue to identify and respond to local needs in the future. The community will work together to make a difference to the needs and issues it prioritizes. 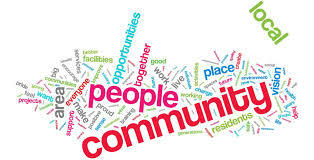 Bring together with local residents the different parts of the public sector with the private, voluntary and community sectors in a spirit of collaboration and mutual support. Promote the engagement of communities and citizens in all its work in a thoughtful, continuous and inclusive way. Openness, transparency and plain language. Equality of opportunity and social inclusion. Respect for similarity and difference in ways of working and the rightful place of legitimate conflict in partnership. Quality and excellence in everything we do. Co-operation and collaboration as the basis for community wellbeing. Supporting residents and people locally in improving their own communities. All meetings shall be conducted with regard to accepted good practice and particularly the principles of openness, fairness and parity of esteem. Members will be expected to sign their agreement to the General Principles of Conduct (attached as Appendix). The ruling of the Chair shall be final. Partnership members will be expected to attend meetings and if they are unable to, will forward their apologies. Lack of attendance at meetings may mean that the member can be voted off the partnership group – this can only be done by advising the individual that this is going to happen and by the partnership group being quorate. A member must declare an interest if he or she has a direct or indirect personal or financial interest in the matter under discussion. An interest must be declared at the beginning of the relevant meeting or as soon as the member is aware they have an interest. Interest must be declared clearly so that all members are aware of the interest and how it arises. Members should take no part in an item where they or any close associate might otherwise gain an unfair advantage. In such cases it will be for the member to withdraw from the room. A programme of dates for meetings shall be drawn up annually, so far as possible. Items for agendas for partnership meetings can be submitted to the Co-ordinator 10 days in advance of meetings and other items shall be determined by the Chair and Co-ordinator who will organise the meetings. Agendas will normally be sent to members in advance of each meeting although failure to meet this requirement will not invalidate the meeting. Agendas and papers will be sent by email. Copies of agendas and reports will be published on the Allenton Big Local website, except for: a) any item declared non-public by the agenda sub group. Notwithstanding a) above the partnership will comply with all relevant public information legislation. Minutes will be circulated after the meetings and with the next agenda. Notice of meetings will be published on the ABL website and a hard-copy notice provided at the Community Hub (when established). Notice will also be circulated electronically to neighbourhood and community groups, and through any resident who requests them. Members should not place themselves in situations where their honesty and integrity may be questioned, should not behave improperly and should on all occasions avoid the appearance of such behavior. Members should be accountable to the public for their actions and the manner in which they carry out their responsibilities, and should co-operate fully and honestly with any scrutiny appropriate to their membership. Members should be as open as possible about their actions (and where applicable those of their parent organisation/authority) and should be prepared to give reasons for those actions. Members should promote equality by not discriminating unlawfully against any person, and by treating people with respect, regardless of their race, age, religion, gender, sexual orientation or disability. Where applicable members should do whatever they are able to do to ensure their parent organisations/ authorities use their resources prudently and in accordance with the law. Big Local is about half way through its life with some wonderful and powerful stories to tell of resident led action and change. All investment within Big Local areas and the activities being funded must be completed by 31 March 2026. Any remaining money will be returned to the National Lottery. No funding can be put aside for activity or organisational support beyond March 2026. (Additional money that local areas raise through or on the back of Big Local can be used without conditions from Local Trust.) It’s possible and perfectly legitimate for your Big Local area to finish funded activity before March 2026 and such areas will have the continuing opportunity to remain part of the Big Local community and take part in learning and research activity. If your plan was endorsed before 2016 you can spend the funding before ten years have passed or continue beyond that – we just ask that you spend the funding before March 2026. This should ensure partnerships have as much time, space and support as possible to achieve their ambitions, and also reflects the fact that we topped up all 150 grants as a result of the income earnt on the investment. At 7am on Monday 16th October, Chatterbox Cafe at St Martins Church and Community Project opened it’s doors to the public. ABL Chair, Edith Lang was the first customer through the door and despite the heavy rain and chilly air received a very warm welcome from the whole Chatterbox Team. Through the course of the day, dozens of inquisitive residents, community leaders and workers dropped in for a bite to eat, a hot cup of tea and to have informal meetings in the light and airy café. Two weeks in and the cafe is a thriving centre of activity. Edith say’s ‘ it’s just really nice to be able to meet friends and family here in the heart of our own community for lunch, or to catch up over breakfast meeting before the business of the day’. 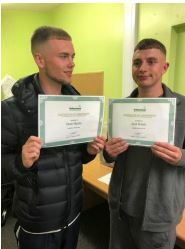 We were incredibly proud to join Enthusiasm for young people recently as they were presented with Queens Award for their services to volunteering. 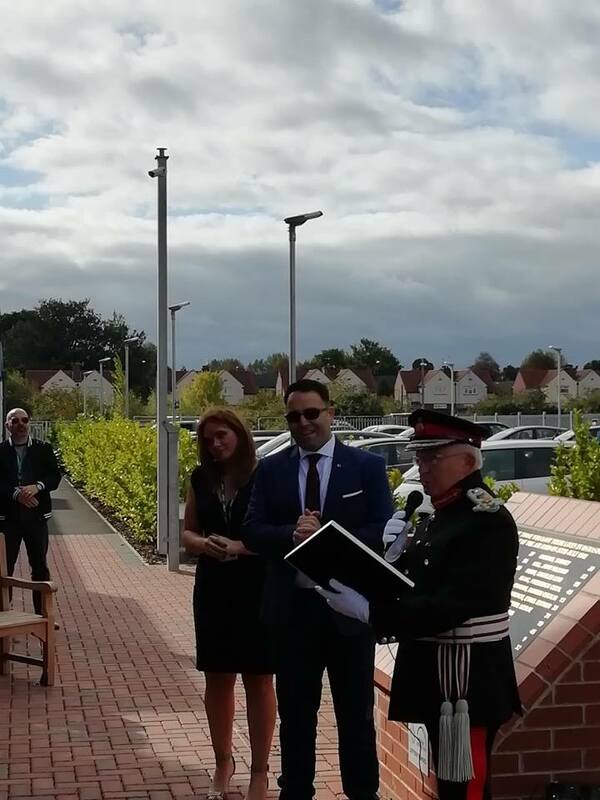 It was a huge celebration for Joe Russo, Heather Russo and the whole organisation, as well as for our community, It’s not everyday that we get such a momentous recognition of the work that goes one here. 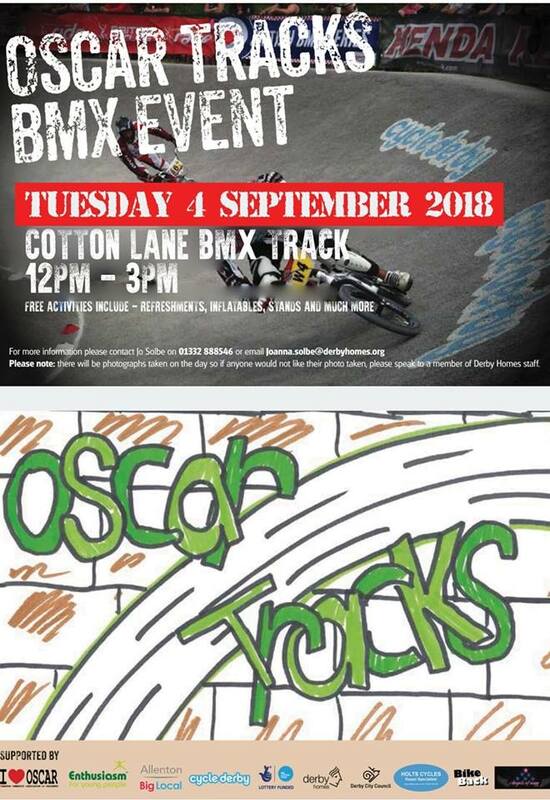 OSCAR TRACKS BMX EVENT – Tuesday 4th September 2018 ~ 12noon – 3pm! 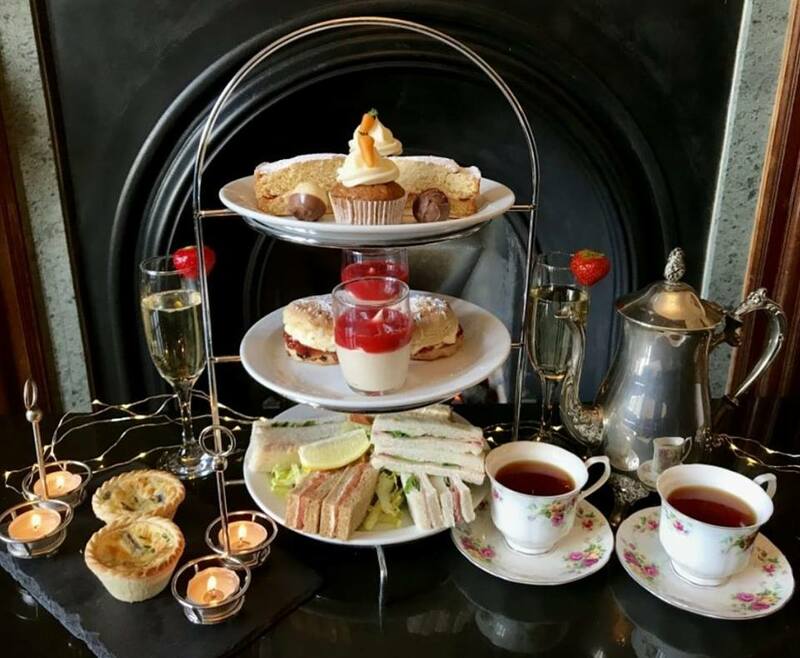 Allenton Big Local would like to invite our local senior citizens from the neighbourhood to join us for Afternoon Tea on Saturday 15th September. 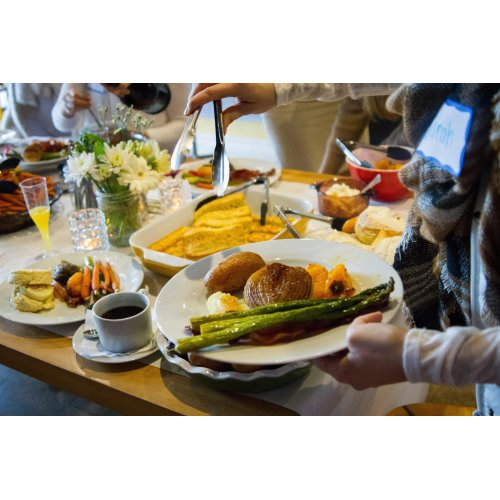 We’ll have a great afternoon getting to know one another and having fun together with plenty of chit chat to go along with fresh cakes, sandwiches, treats and lashings of tea; as well as a raffle and some of our favourite tunes. 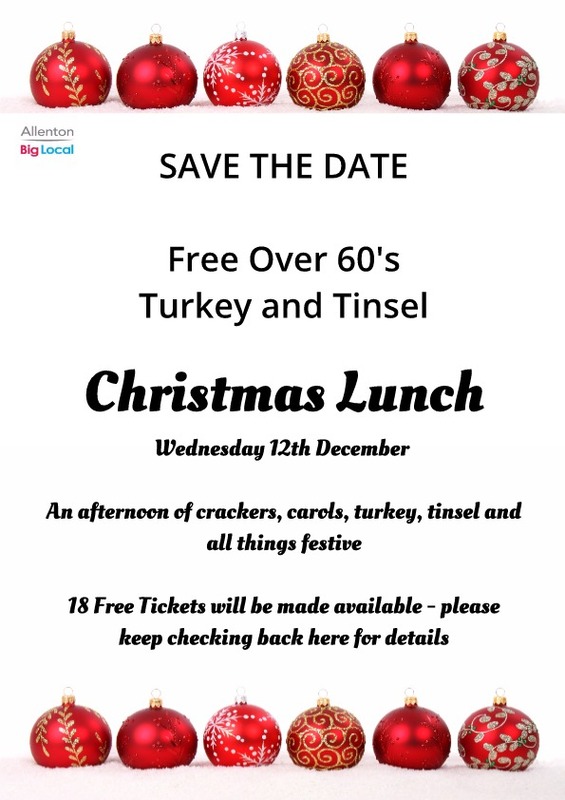 It’s free of charge and open to any senior citizens in Allenton. If you’d like to join us, or invite a family member or neighbour then give us a call or text to 07792455442 – if we can’t get to the phone, leave us a message and we’ll call you back as soon as we can. We have 40 places available on a first come first served basis. Please let us know if you want to attend by no later than midday on Thursday 13th September. N.B. We will try to cater for everyone including vegetarian, halal and gluten free. If you do have any special dietary needs or allergies though, please feel free to bring a few goodies of your own. How Things Are Run At Big Local! 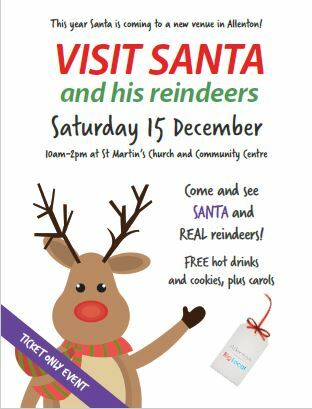 St Martins Church and Community Center! 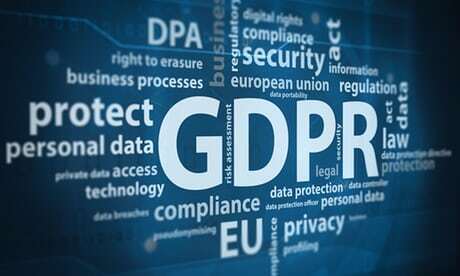 Important Information About Your Personal Data! Free Dance Sessions Build Skills, Relationships and Confidence ! Ten Years and One Million Pounds! 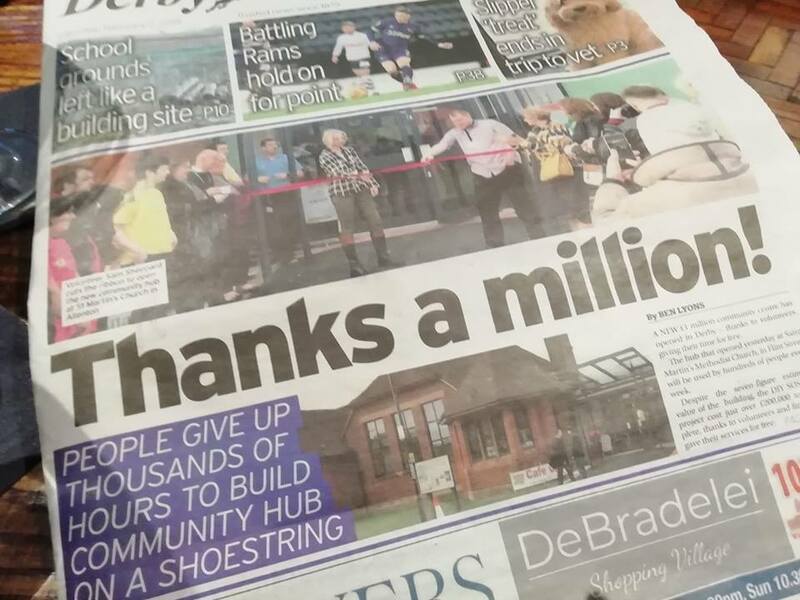 Allenton is one of 150 areas that have been awarded £1 million to make a lasting and positive difference in the community. “Big Local” funding is a 10-year programme with the aim of making a significant difference to the local area and long-lasting change to the lives of the people who live and work in the area. You can read more about what Big Local is all about here. It’s an exciting opportunity for residents around England to use at least £1 million to make a positive and lasting difference to their local community. 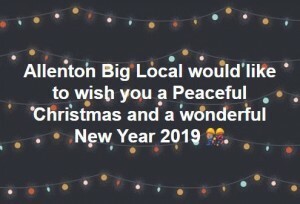 The Allenton Big Local project is about bringing together all the local talent, ambitions, skills and energy from individuals, groups and organisations who want to make their area an even better place to live. Big Local is being run by Local Trust, which is working with over £200m from the Big Lottery Fund and a range of partners, providing expert advice and support for residents.